Humana and UNESCO Chair at the University of Girona launch the second edition of the specialist course about the potential of education, art and culture in the development activities as part of the Humana 'Youth in action' project. This course provides a general view of the relationship between culture and development, placing special emphasis on educating and qualifying youths, indispensable factors for the empowerment of communities and their development. It aims to transmit specific knowledge about how to configure the relationship between education and culture in the service of development while at the same time offering practical tools for those working in the cultural and cooperation sectors. The course organization is provided by UNESCO Chair in Cultural Policies and Cooperation of the University of Girona, in collaboration with the European Union and ConArte Internacional. 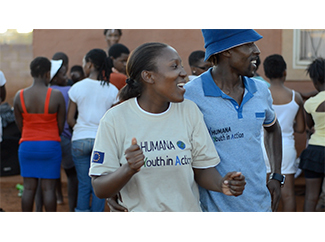 It is part of Humana 'Youth in Action' project. In fact one of his goals is to make visible and to value the experience gained in South Africa with this project, to learn with practice. 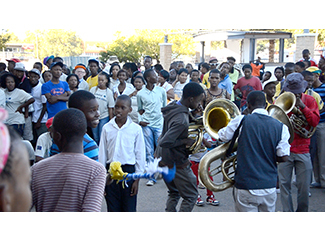 - Young South African coordinators of the Youth empowerment through Arts and Culture project who work directly with clubs on art and culture projects. - The Humana People to People team, which wishes to be trained in the cultural perspective of development and provided with conceptual reflections and tools and methodologies. - Persons from different organisations and institutions who work in the area of cultural management, international cultural cooperation, art education or community development. - Anyone who, with or without previous experience, wish to focus their professional practice on the relationship between education, culture and development.